(Green Belt), Yacoub El Mansour. Rabat includes restaurants and kiosks with offers catering to all tastes and desires. 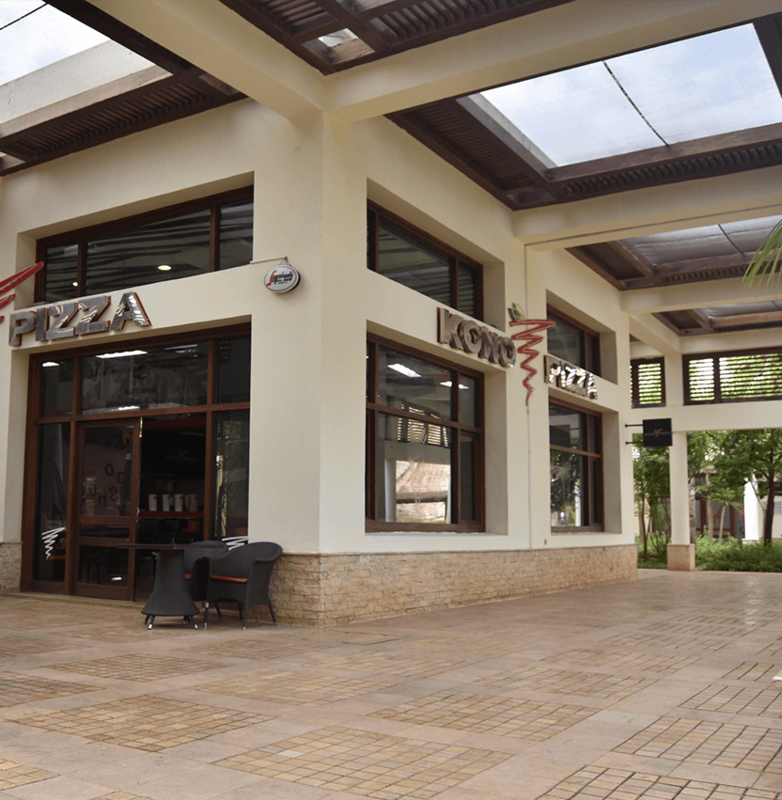 At the host village, a variety of dishes offered by the Konopizza franchise. Also an assorted menu is available upon request (advance booking is required) for school groups. 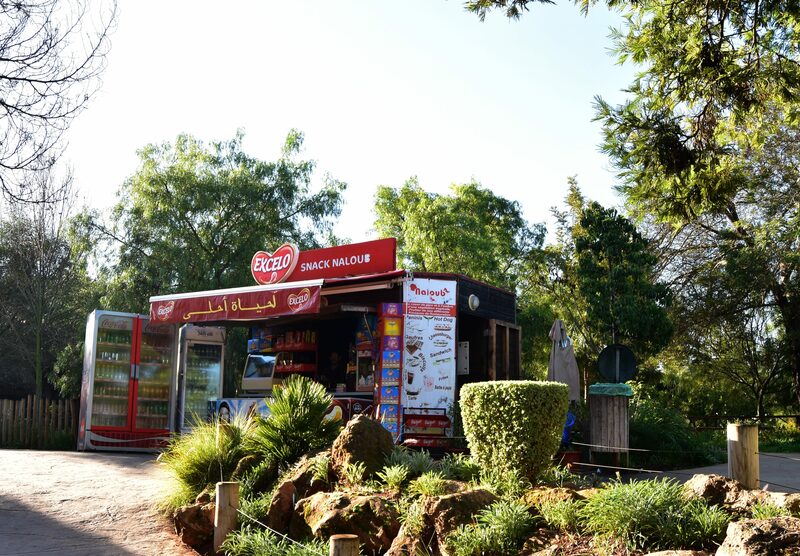 5 fast food kiosks located at Atlas Mountain, Wetland, Savannah, Rainforest zones as well as at the educational farm. In the vicinity of the host village, a large shaded picnic area with tables and benches is available to visitors for their break time. Rabat Zoo provides its visitors a stroller rental service. 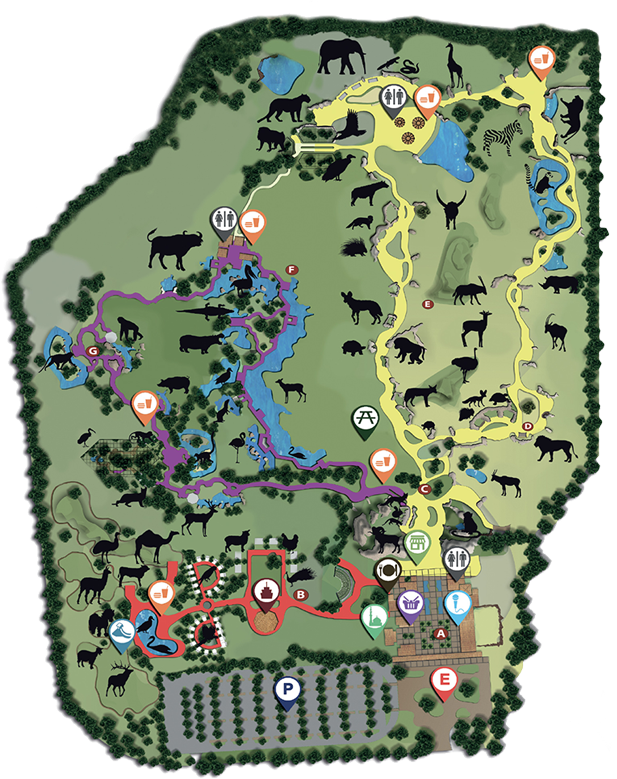 The zoo has thought about people with reduced mobility therefore all zoo areas are accessible to them. A wheelchair rental service is also available. 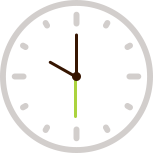 A Parking is available throughout the day, it also has spaces dedicated to people with reduced mobility.